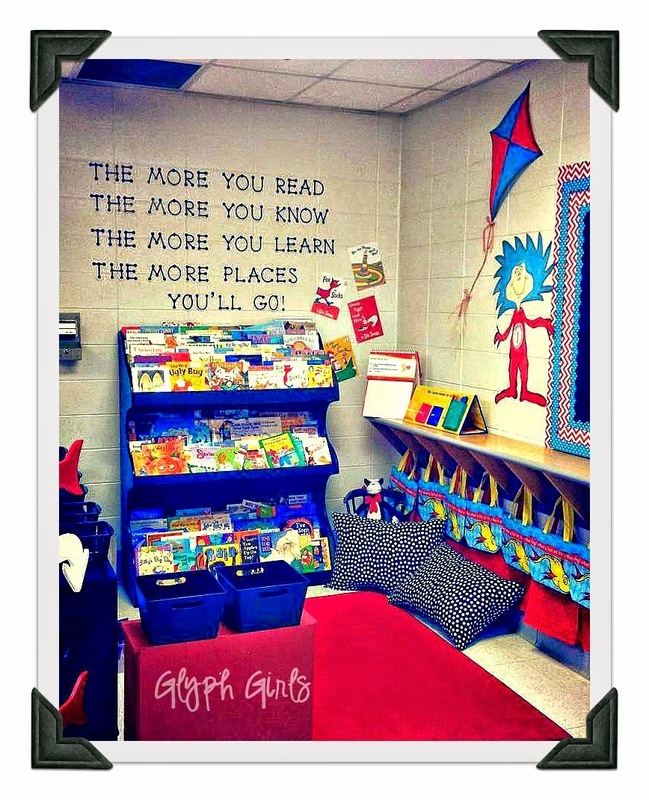 When I was an instructional coach I would put displays up in the hallways to promote reading and thinking. 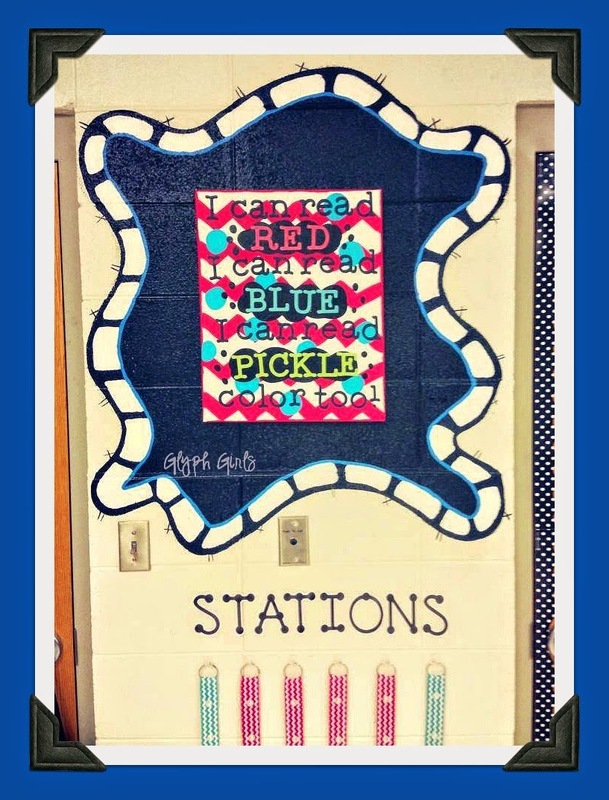 But they just didn't "pop"- so I asked my principal if I could paint some "backgrounds"..... Needless to say, he came back on Monday with "Blobs" up and down the halls! 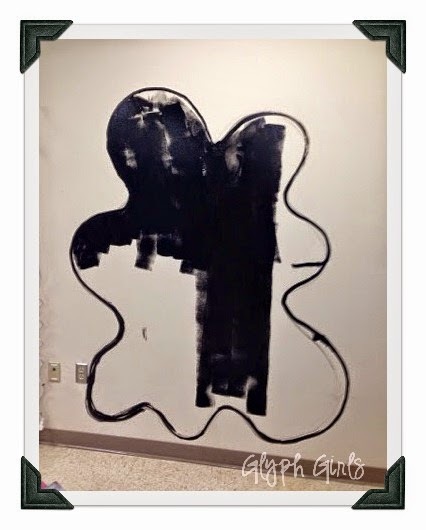 When I returned to the classroom, the painting of blobs went with me!!! Several people have asked how to paint them. So, now that I am in a new room, I took pictures of the process!! 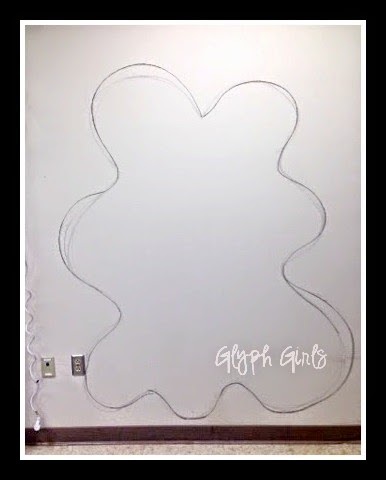 First, draw out your blob with pencil or chalk. and make sure it looks like you want it. Use a roller and roll what you can! brand once and it was hard to get good coverage. 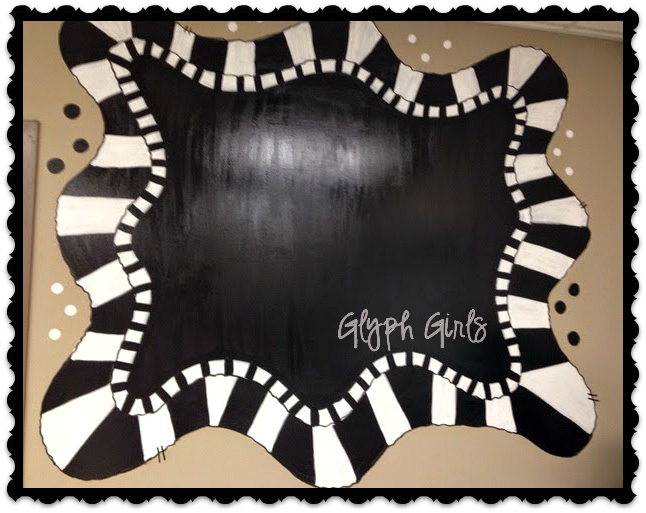 Decide what you want your border to look like - I used stripes this year, but have done polka-dots, too! 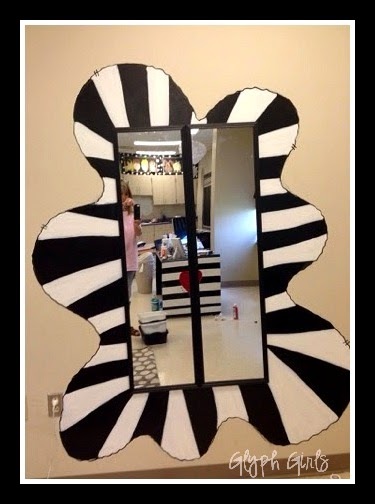 I did not leave a middle on this one because I knew I was putting a mirror in the middle. 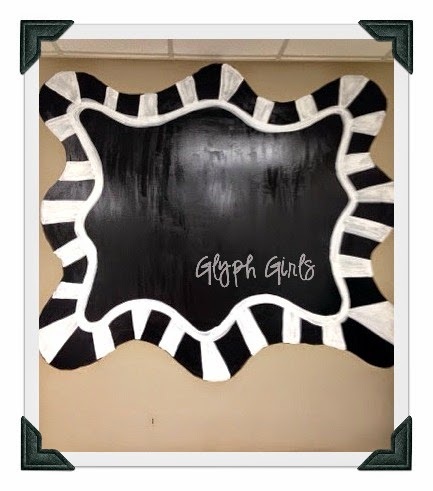 Then I used the same black to add stripes. 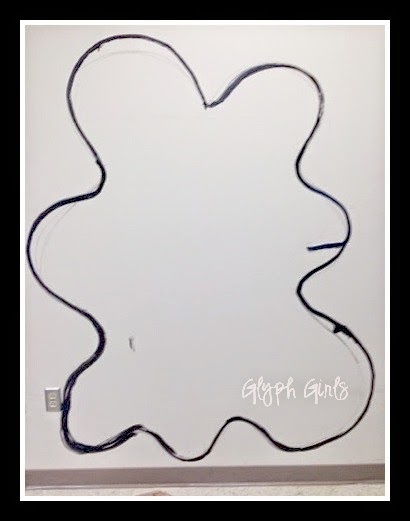 I used a black paint pen to outline the blob- I do it a little whimsical so it doesn't have to look perfect!! 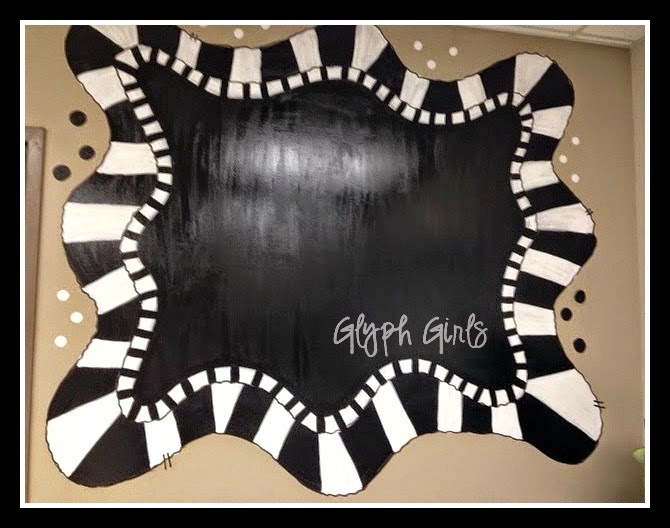 I like using black and white because when I put things on them- the items stand out because it is not competing with other colors!! 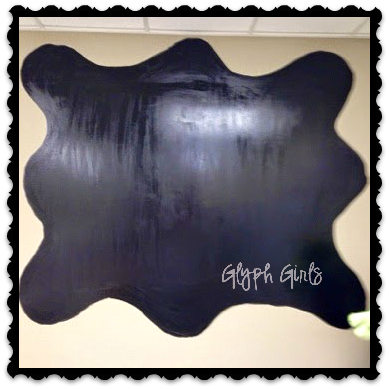 If you plan to change the display a lot, you might want to put a coat of modge podge on top of it!! 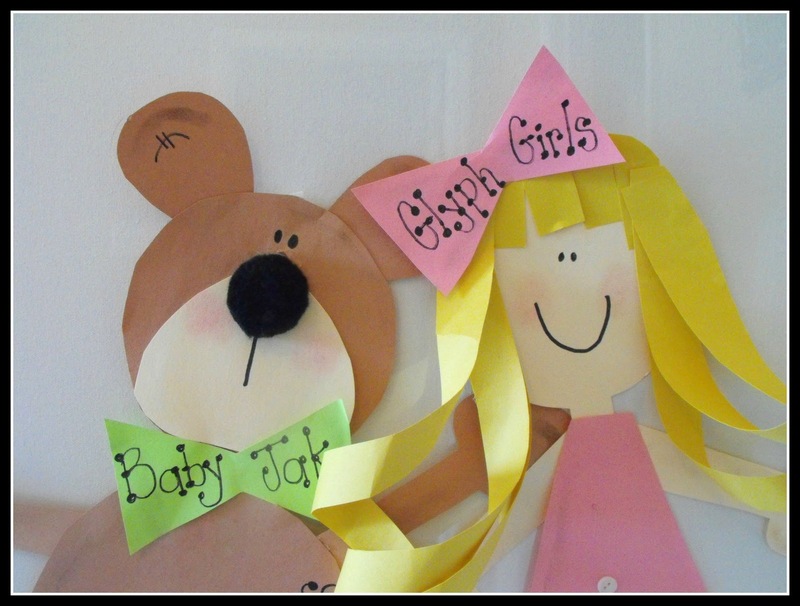 Have you seen our Goldilocks Glyph? 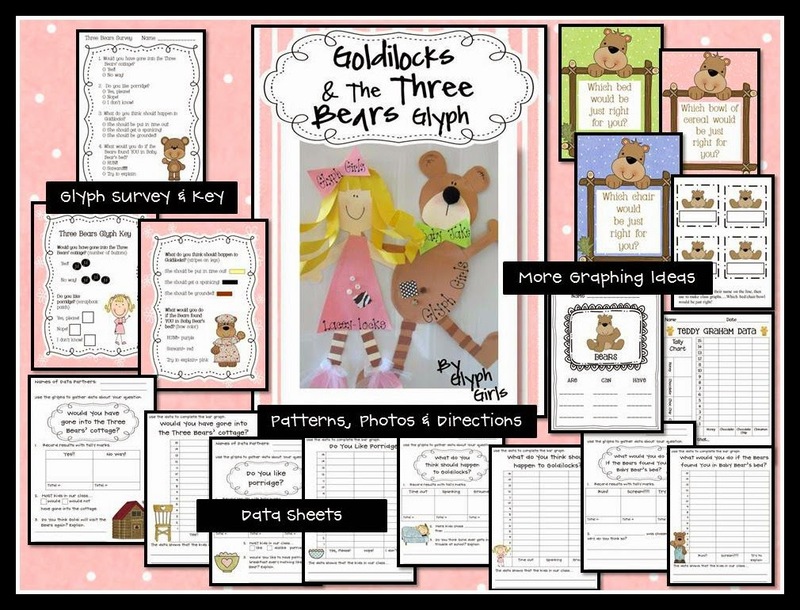 It is so much fun to use with Goldilocks and the Three Bears! 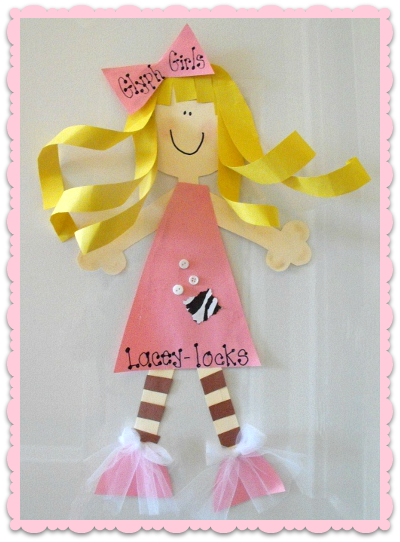 Click on the Cover to go to our TpT Store. 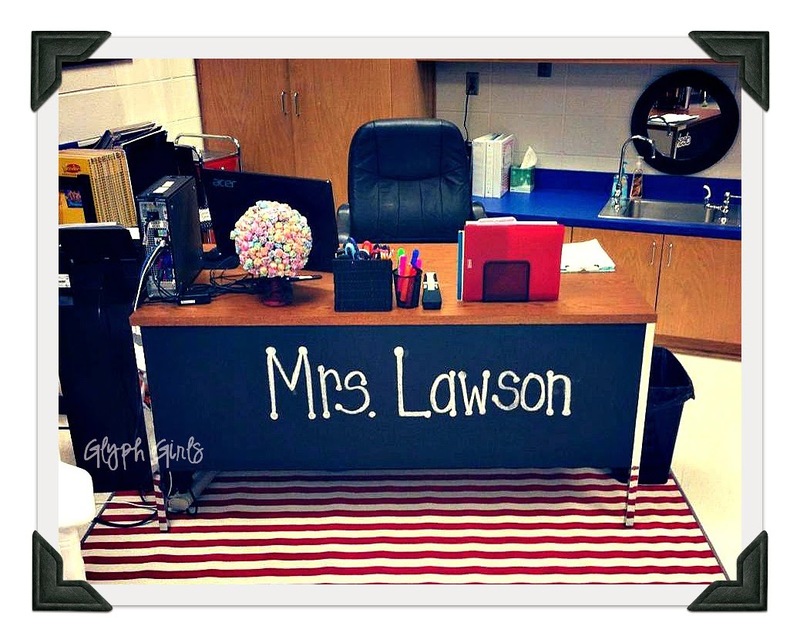 Kayla Lawson's first year to teach was last year. 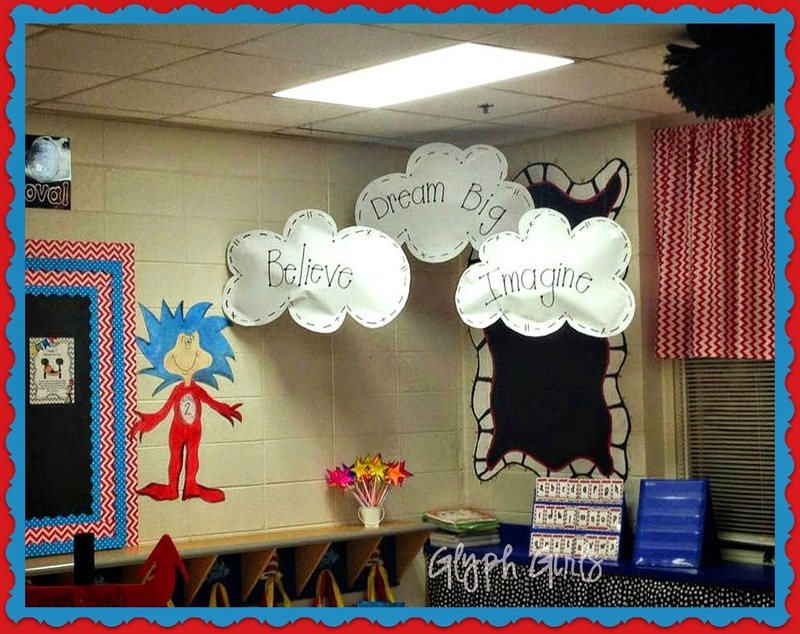 She taught kindergarten at Priceville Elementary School... and she ROCKS!!!! 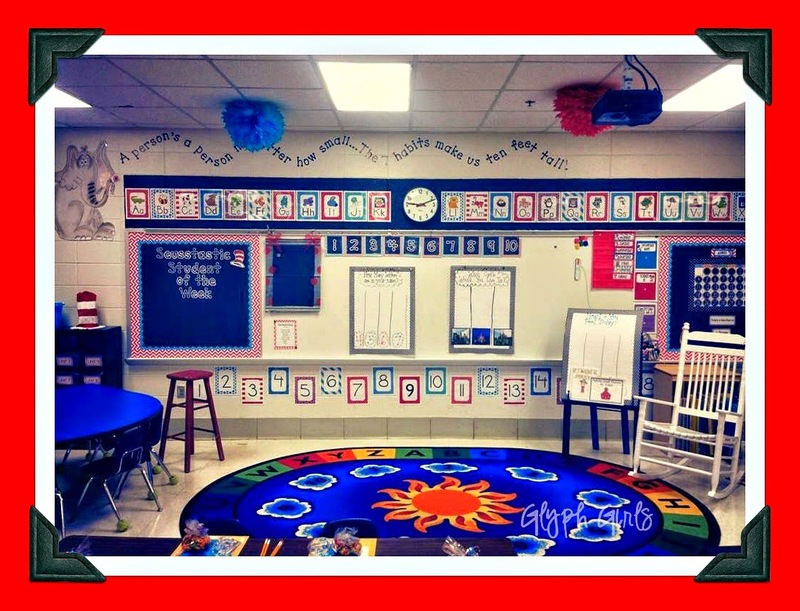 I love how Kayla was consistent with her color theme throughout her classroom! 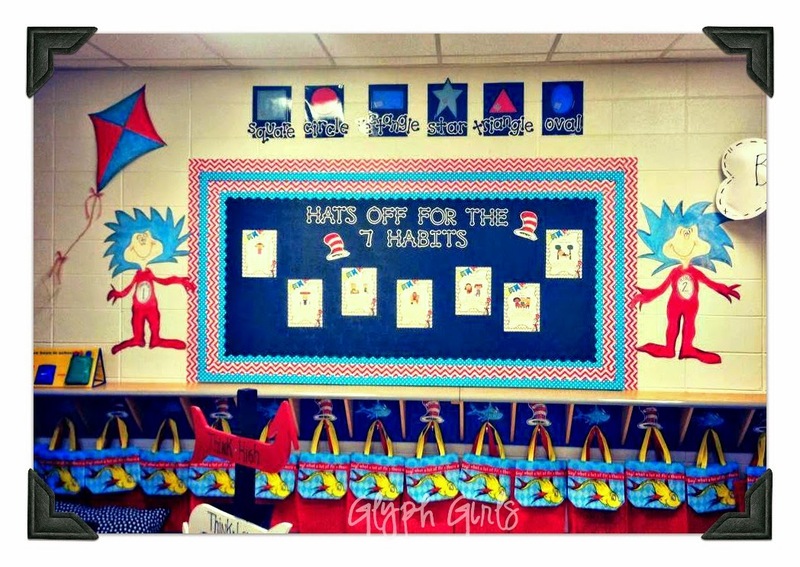 Thing 1 and Thing 2 are supporting the 7 Habits. 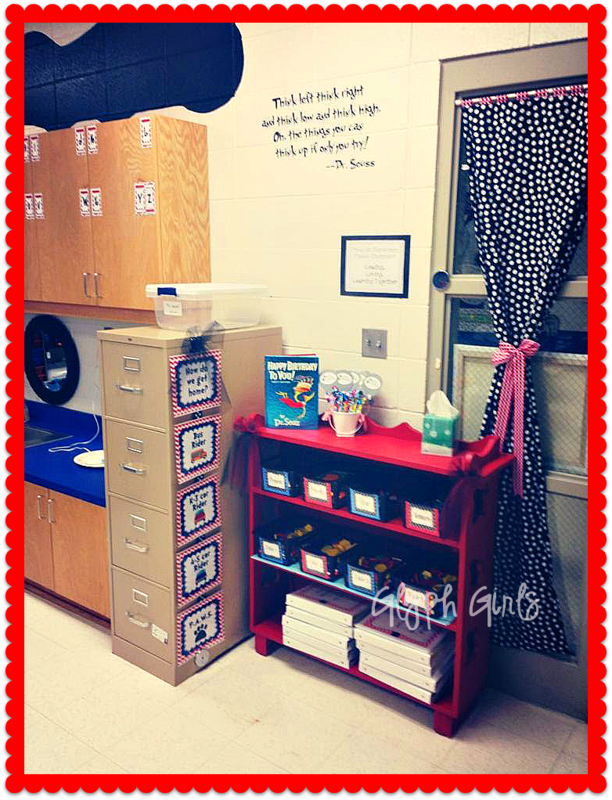 Do you see the adorable bags she has for her students to store their materials!! 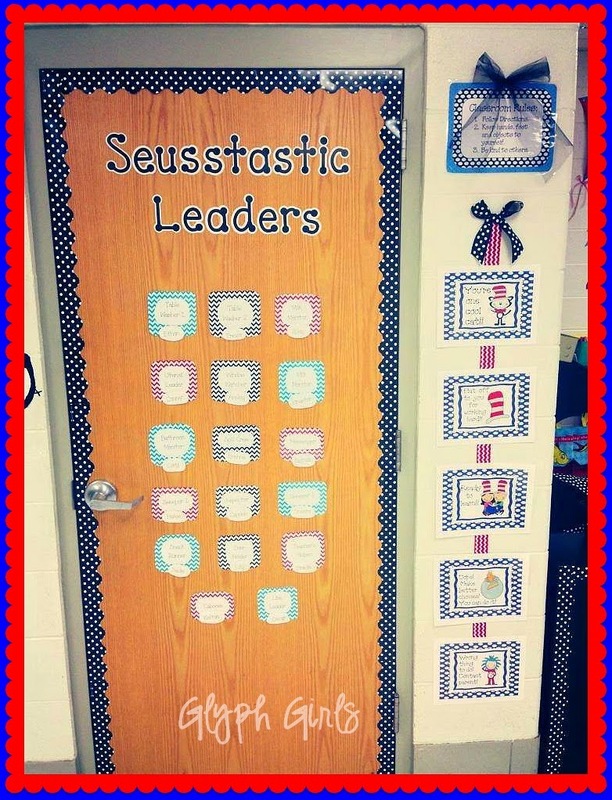 Her students used the Seuss behavior chart to clip up and down! 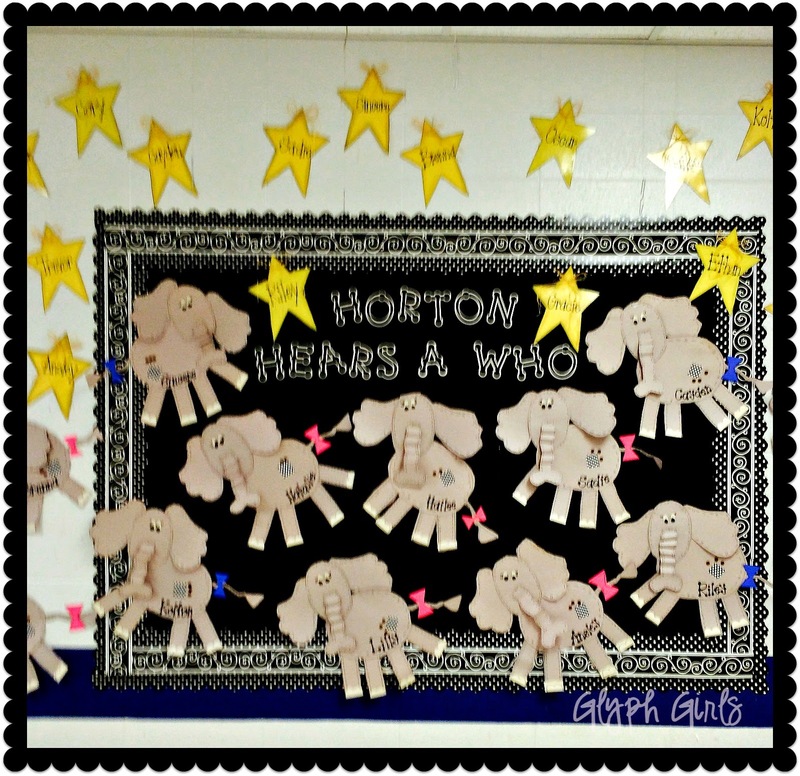 Love the Horton quote above the alphabet! Kayla's room was too cute!! 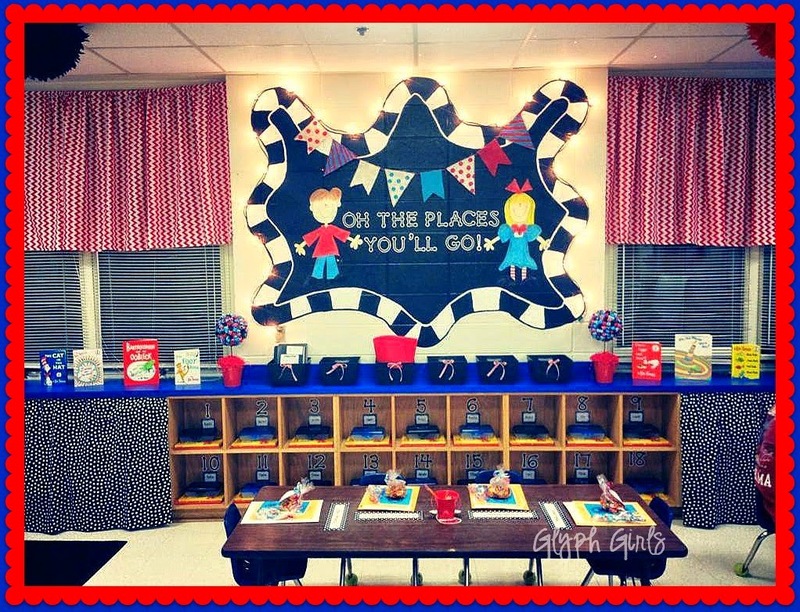 Can't wait to see it this year because she is doing a summer classroom make over!!! 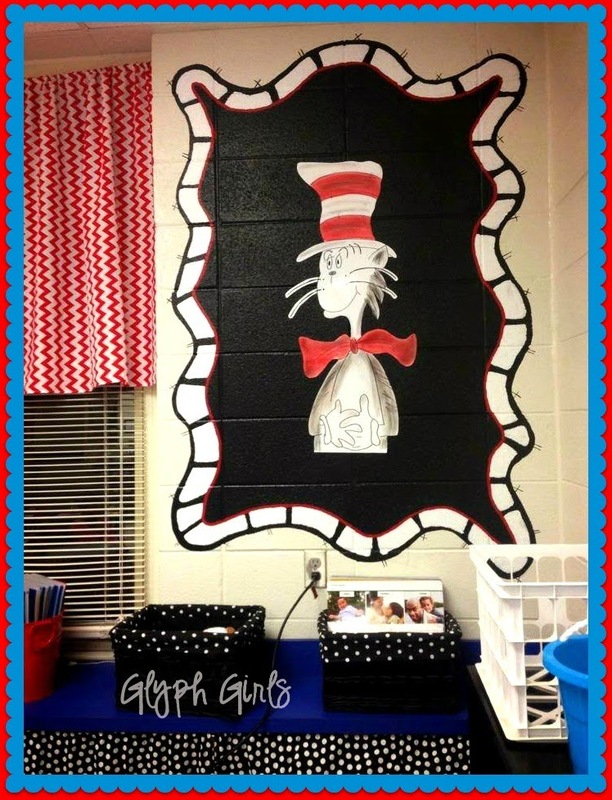 Thanks Kayla Lawson for letting me share your AWESOME Seuss-tastic classroom with the followers!! 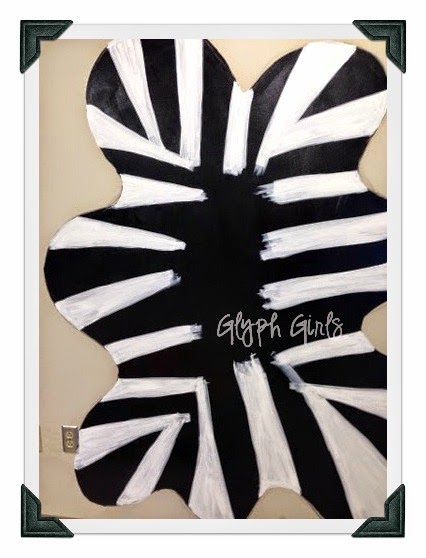 If you are thinking of using a Dr. Seuss theme or even a Jungle/Safari theme you might be interested in our Elephant Glyph. 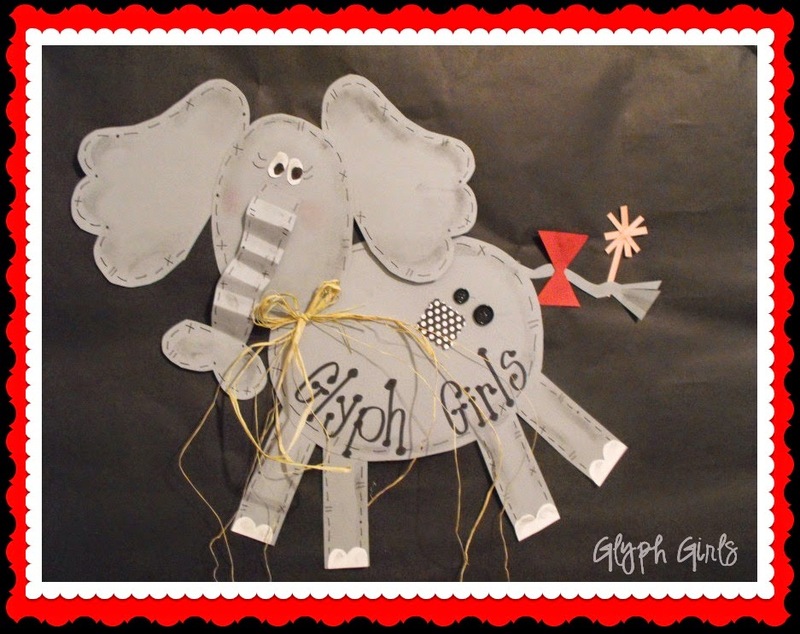 Here's a pic of the Elephant Glyph Kayla used for her hallway bulletin board during Read Across America Week this past year. 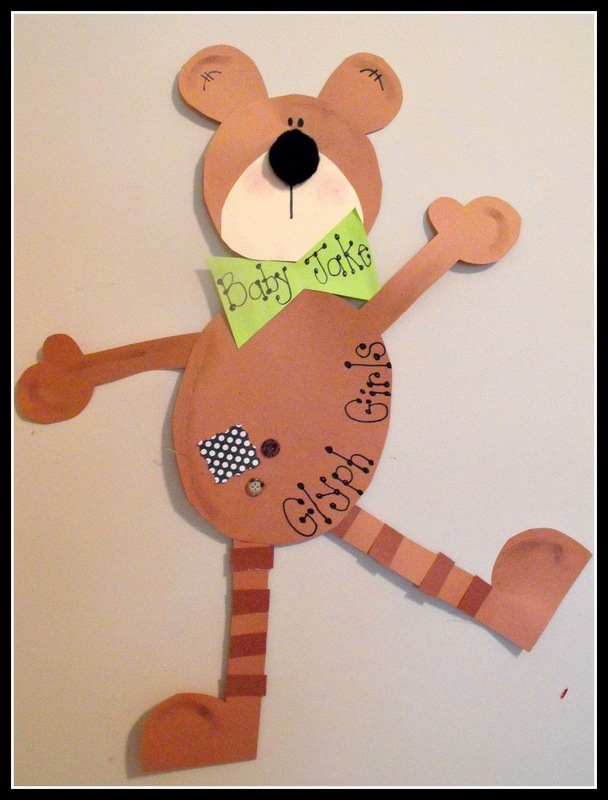 Here's a close-up of the oh-so-sweet elephant! 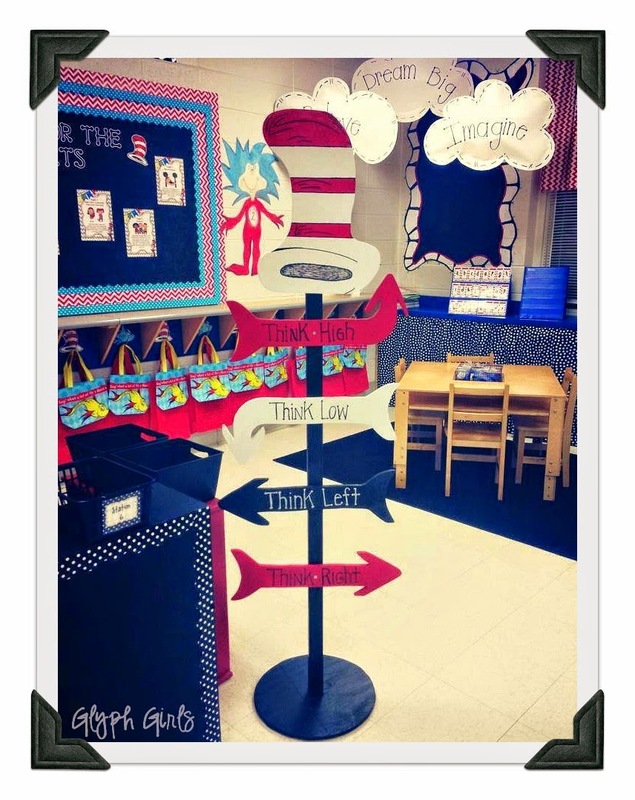 Click on the pic to go to our TpT store and look at the product! 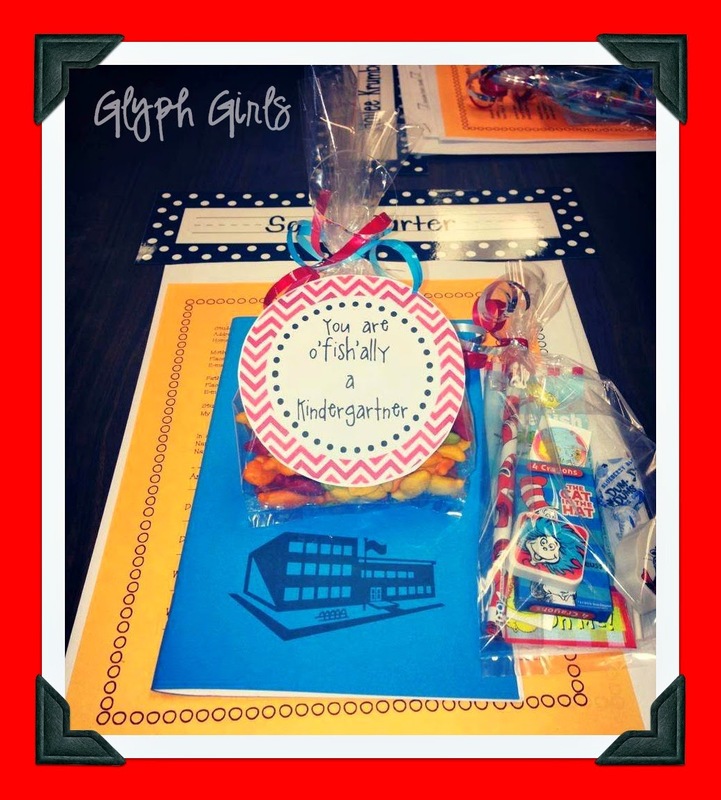 You'll love the math activities that go along with it.